For keeping all of mum’s favourite recipes. 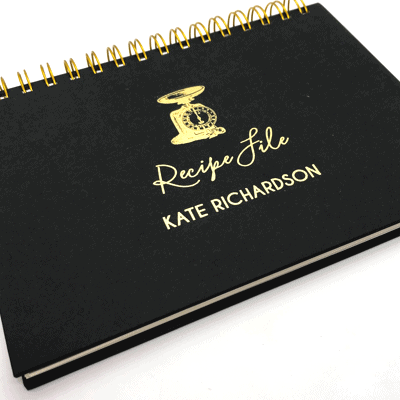 A5 hardcover with gold ring binding. 60 pages, hardcover, A5, ring bound.